There's a passionate love story between the Google Maps team and Android's notifications. Every few months, sometimes even weeks, a new type starts surfacing, and it's gotten to a point where the notifications settings in the Maps app no longer fit on one screen and require sub-categories. 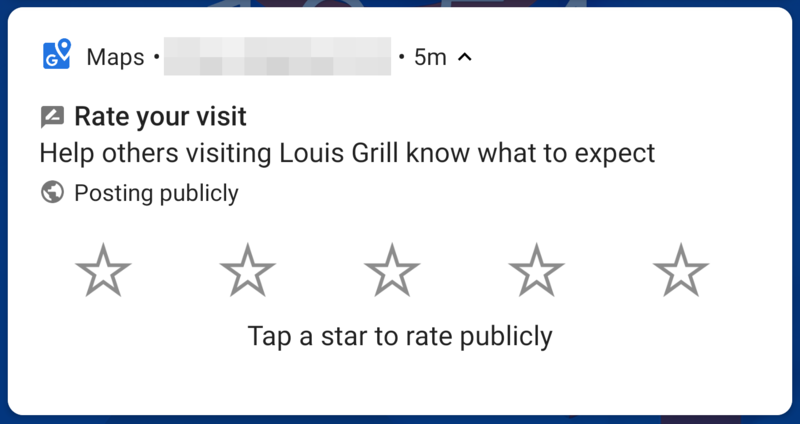 The latest isn't a new notification per se, but it's a change to an existing one: you can now directly rate a place from the notification drop-down. Then, you're required to select a data plan based on your needs. If, for example, you have 2 subscribers on your line, 4GB is probably a good place to start. That sets your baseline bill at $70. Then, you calculate the total cost of the bill with the number of connected devices you'll be using on the network. 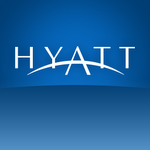 Hyatt Corporation, looking to make customers' hotel experience just that much easier, released an official Hyatt app to Google's Play Store recently. The app allows users to find Hyatt hotels across the globe, viewing details about each location, booking, managing reservations, and more, all from their Android-powered device. Besides a full suite of booking and check-in functions, Hyatt's new app gives users access to weather, maps, and turn-by-turn navigation to their Hyatt destination. 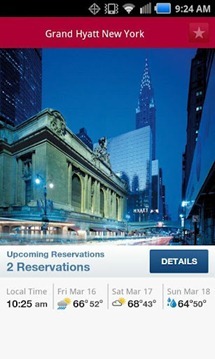 The app also allows Hyatt Gold Passport members to access account details and track points. 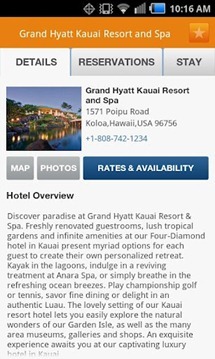 Overall, Hyatt's official Android app seems to be just what the doctor ordered for those who prefer booking with the popular hotel operator, and is definitely worth picking up. 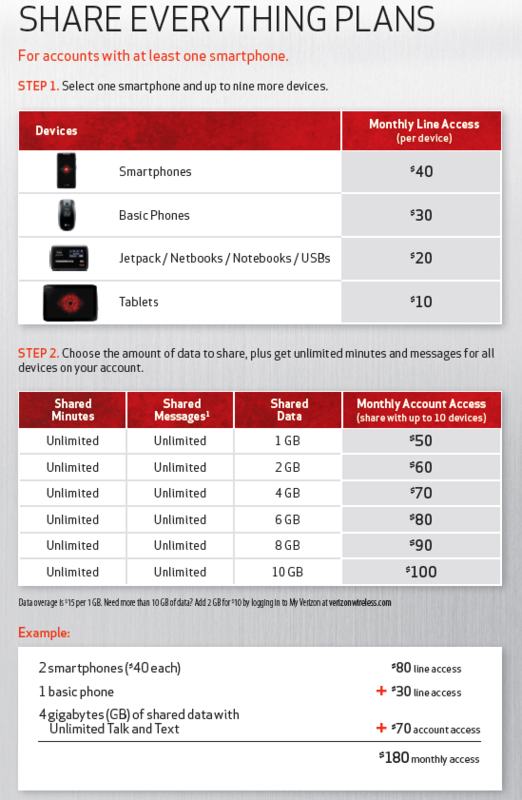 Sprint To Start Throttling Virgin Mobile Smartphone Data - A Sign Of Things To Come? In what can only be described as a real sphincter-clencher for Sprint customers, the nation's last true unlimited smartphone data provider has made a move that may signal the eventual end of that philosophy. 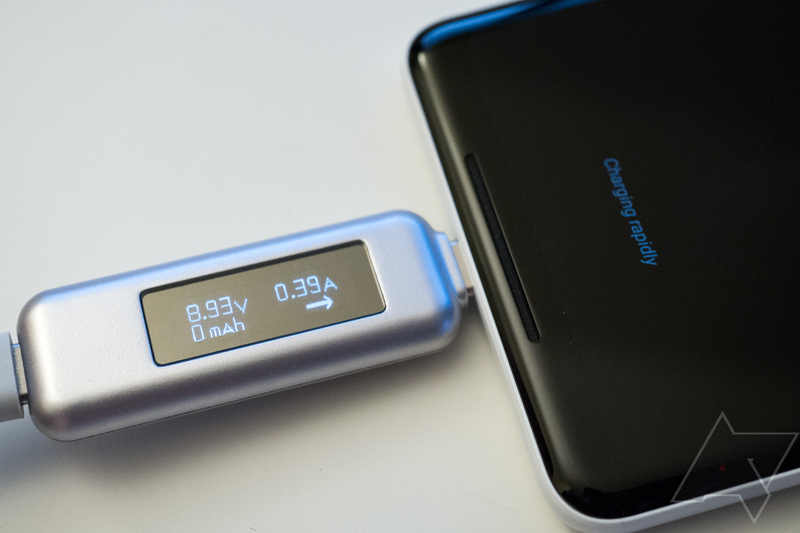 Yesterday, Sprint announced that customers on its Virgin-branded pre-paid arm, Virgin Mobile, will now be subjected to data throttling after 2.5GB of usage in a month. 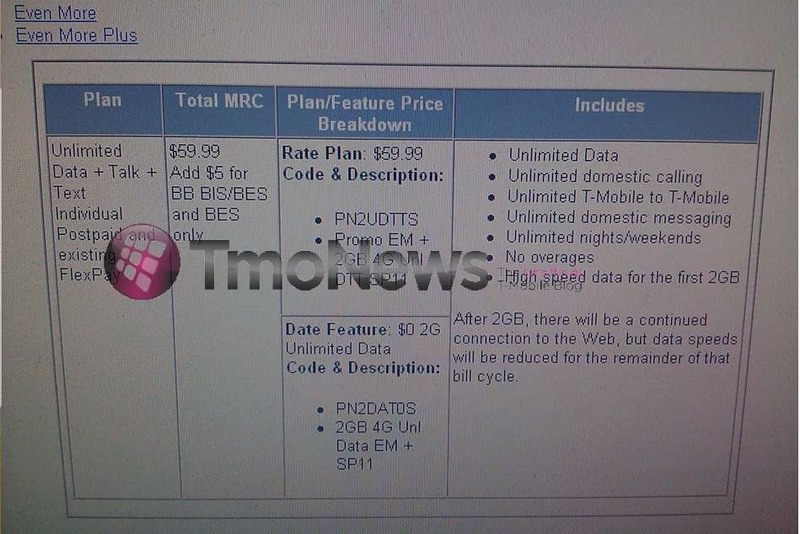 Sprint claims this will only affect 3% of all Virgin mobile data subscribers. The throttling will limit data hogs to a paltry 256Kbits/s once they've capped out at the 2.5GB mark in a single month - which is actually a little better than what T-Mobile does (dropping people to EDGE speeds). We knew it was coming. We've known for a while, in fact. But as summer draws near, reality is starting to set in: unlimited data is coming to an end on Verizon. For real. Here's what you need to know (based on what we know): Verizon's CFO told Reuters at a tech conference that tiered data will be implemented this summer, and that all unlimited data options will be eliminated. There was also a suggestion that family plans may (eventually - not with the launch of tiers) get data pooled in a fashion similar to minutes - eliminating the need for individual data plans. T-Mobile is starting to get aggressive with customer acquisition and retention, and in light of less than stellar fiscal performance and the news of the AT&T deal, it's not hard to see why. On April 13, the carrier will begin offering a new off-contract smartphone plan, and it's a steal - for $59.99 a month (down from $79.99), you'll get unlimited talk, text and data*. But, there are some significant catches. The first is that you'll have to pay full retail for your phone of choice - the Even More Plus plan is a month-to-month affair. The second is arguably worse - your data usage is technically unlimited, but after the first 2GB (as opposed to the current 5GB) your data speeds will be throttled down until the next billing cycle. 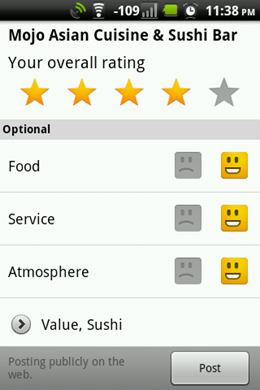 Unveiled earlier today, Google's new service, called Hotpot, promises to recommend places to you based on an extremely simple rating system that allows scoring and ranking establishments from one to five stars. Additionally, you can rate individual characteristics, such as food, service, and atomsphere, as you can see below. Hotpot's release was accompanied by a simultaneous refresh of the Google Maps Android app (version 4.7), which brought along the fairly significant addition of Hotpot to the Places component of the app. 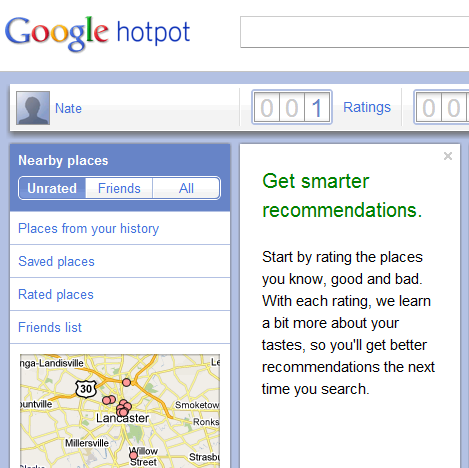 Hotpot itself is accessible on any computer, but you'll obviously find rating and discovering places far more convenient while on the go.